*Disclosure: I was compensated from Best Buy for sharing this information with you. Any opinions are 100% my own. I think that home security is at the top of the list for most of us. It doesn’t always mean that we are super proactive about it, but it’s definitely a concern and something that I think we all want to be educated about. 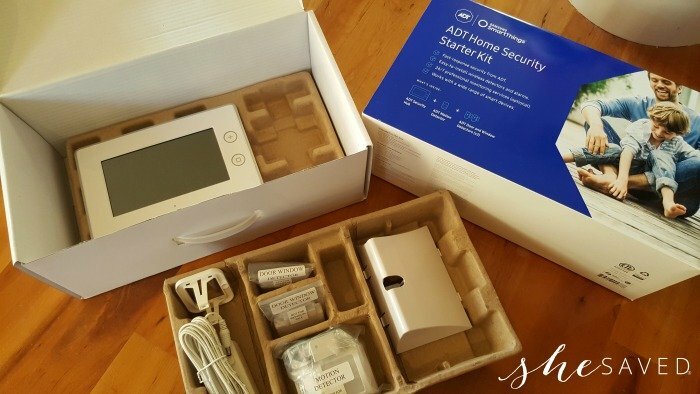 I was really excited about the opportunity to review this ADT Smart Home Security starter kit. It was the perfect push we needed to start arming ourselves with home security. In fact, now that we’ve started, we can’t stop! 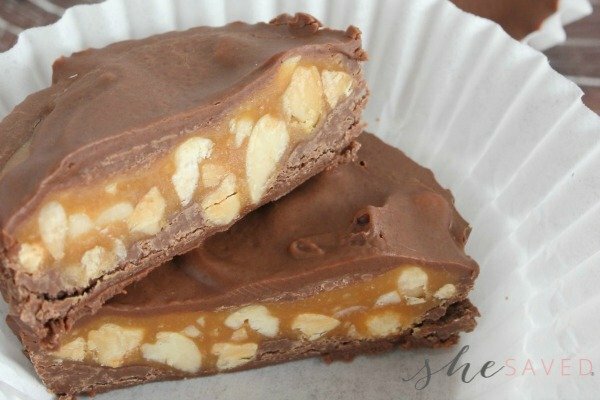 This is SO easy and the Samsung SmartThings app and technology makes it so easy! 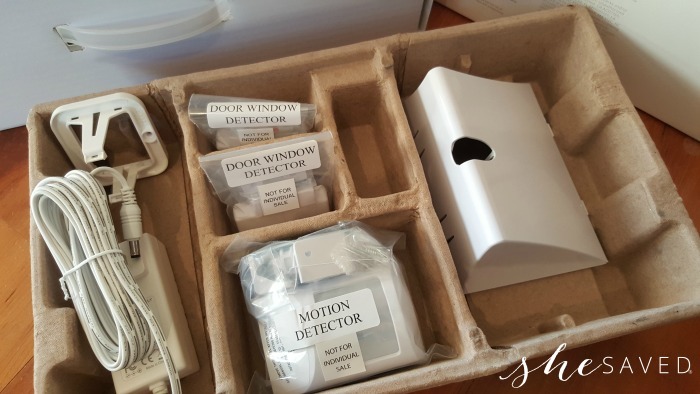 The starter kit comes with an ADT Security Hub, ADT Motion Detector, and 2 ADT Door and Window Detectors. One of my favorite things about this system is that it’s totally wireless and super easy to set up. 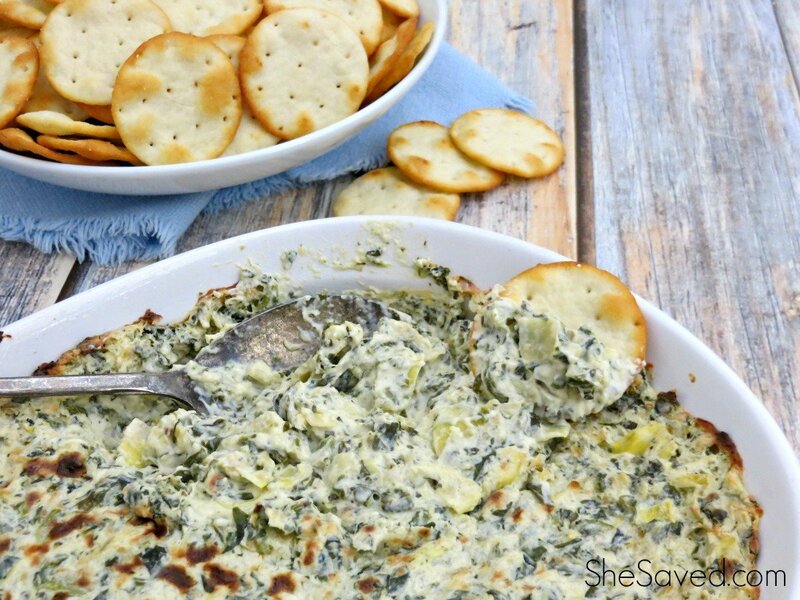 SO easy that I actually did it all by myself! Right out of the box this set is super clean, super organized and really easy to understand and walk yourself through the set up process and familiarize yourself and family with how all of this is going to work. Before setting the system up, you will want to download the free Samsung Smarthings app, or you could also pay an ADT monthly free to have them monitor through their software 24/7. Once you have the app downloaded, it’s time to start syncing up the devices which also only takes a few moments. One thing that I loved about the set up process is that your monitor will actually guide you through the entire process, step by step. 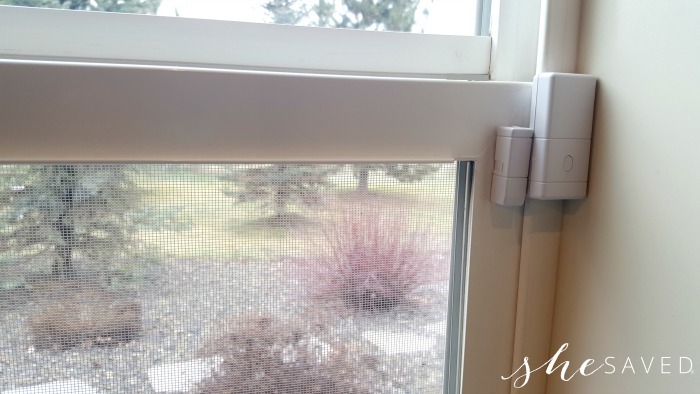 The door/window detectors are also really easy to use, and I was really surprised at how NOT complicated it was. Within less than 1/2 hour, I had our entire starter kit up and going and as you can see, these monitors are quite small and subtle and really easy to move around. I like that because it means that you can change up your monitors with very little effort and nothing is permanent. We are going to familiarize ourselves with this system over the next couple of weeks and I’ll be back to share more of our thoughts. I’ve been using it this past week and already I’m learning so much. The app on my phone allows me to control and monitor from my phone and it even tracks our activity. 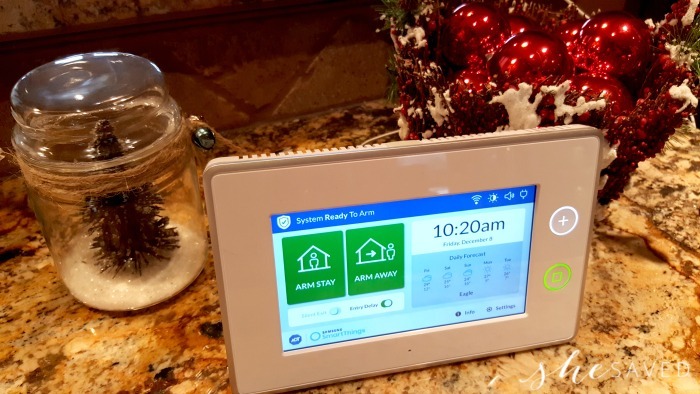 This ADT Home Security Starter Kit, from Samsung SmartThings & ADT is not only affordable, but it provides you and your family peace of mind and connectivity customized to your needs. If you would like to learn more about the ADT and Samsung Smart Things home security system, you can find more information on the Best Buy website here. 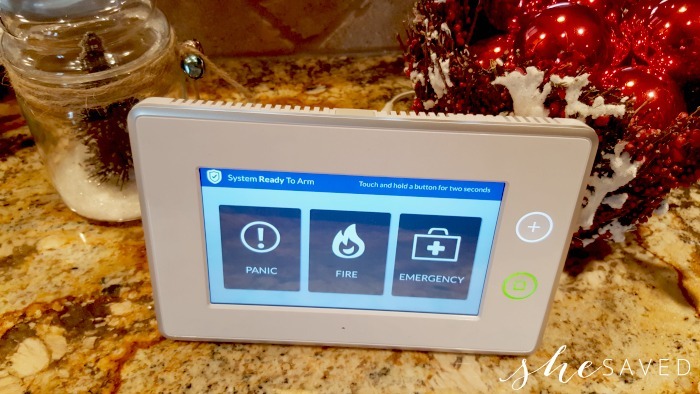 I’ll be back soon to share with you more of our thoughts on this system including the addition of an expansion pack that we will be adding to further our home security experience!